Why is Red Bull Called Red Bull? Red Bull’s image lives up to their goal. They are sponsors of many athletic and artistic events, from Red Bull KTM to MotoGP to Dolomintenmann to the Mind Games World Championship and so much more. In fact, while racing, dancing, jumping, gaming, strategizing, or whatever it is you are doing, you should be able to easily find Red Bull since it is in 171 countries worldwide. As a matter of fact, over 68 billions cans of Red Bull have been drank since it came to the Western market on April 1, 1987. As of 2015, Red Bull GmBH was 51% controlled by the Yoovidhya family (Chaleo passed away in 2012, the 205th richest person in the world), whereas Dietrich Mateschitz is the 49th richest person in the world (as of January 2018). Monetary wealth aside, Red Bull strives to protect the wealth of our planet with great intention. Their lightweight cans use fewer raw materials and are 100% recyclable while their plants obtain 80% of their energy from renewable resources. Oh, and did you know that recycling a can takes 95% less energy than making a new one? To top it off, “Wall-to-Wall” production means the cans are manufactured and filled on site, saving 9,687 tons of CO2 emissions annually as well as 7.9 million miles of track travel. In fact, they ship most of their product by train and ship, only using trucks if absolutely necessary. Why is it Called Red Bull? Dietrich Mateschitz was an Austrian businessman who discovered a drink called Krathing Daeng during a sales trip to Hong Kong in 1982. He tracked down businessman Chaleo Yoovidhya, the creator of Krathing Daeng, and they became business partners under a ‘gentleman’s agreement.’ See, Yoovidhya had created this energy drink, Krathing Daeng, under his company TC Pharma in the 1970s to help Thai truck drivers and rural laborers get through their day. He chose the imagery of the bull because of its power, the color red for perseverance, while the sun in the background symbolized energy. The drink was a success throughout Asia and Mateschitz saw the potential to take the drink global. By 1984, they set up Red Bull as a company poised to take a premium version of Krathing Daeng global. Well, first Mateschitz and Yoovidhya very slightly reformulated Krathing Daeng for Western tastes and added carbonation. Secondly, in 1987, Red Bull GmBH was created and Mateschitz brought Red Bull to Austria. 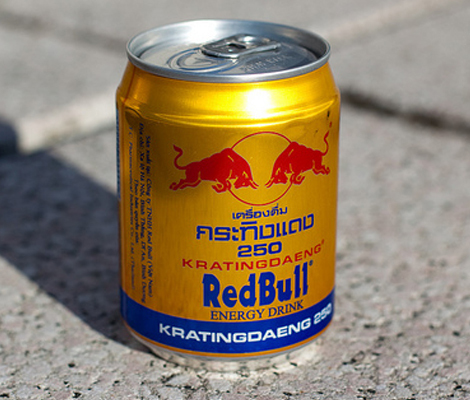 So, by now you are probably wondering: “What does Krathing Daeng have to do with the name Red Bull?” To solve the riddle, you could use Google Translate or happen to know that Krathing Daeng are two Thai words that when translated to English are (drum roll, please! ): Red Bull! SEE ALSO: Why is Gatorade Called Gatorade? When you are downing your can of Red Bull, know that the purity of what you drink is paramount to Red Bull GmBH. For example, should you find yourself at a party tonight and some peon tells you that Red Bull is made with bull sperm, you can comeback with this: All taurine in Red Bull is synthetically produced by pharmaceutical companies, guaranteeing the highest standard of quality. 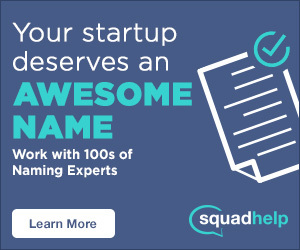 What awesome feat has Red Bull helped you achieve? Share your Red Bull “gives you wings” thoughts in the comments below.